The Because Project | Because Project | Kids VT - small people, big ideas! "A summer camp counselor told me I had potential - words that encouraged me to dream." The Because Project asks Vermonters to share their stories about people and experiences that have shaped their lives, especially during their formative years — stories that may inspire others to get involved. Because together we can all make a difference. As I think back on the people who touched my life, I'm reminded of a summer camp counselor named Zelda, who taught us modern dance to the sound of a new and exciting piece of music: Gershwin's "Rhapsody in Blue." She pulled me aside one day and said, "Madeleine, I think you have potential." She was not talking about dance, although I would have been pleased to hear that. She was talking about potential in life. I was 14 years old at the time. The camp was located on a farm in Binghamton, N.Y., and, by today's standards, was very basic. Our activities consisted of piling into the back of a pickup truck with a milk can full of red Kool-Aid, which we would drink at the lake after our swim. We'd come back and play simple games like volleyball and Ping Pong, and when it rained, we would make lanyards. The highlight of the season was the Color War. I was on the blue team. We were all from New York City, and before that, from war-torn Europe. I remember Zelda because she was the first person who said the word "potential" to me. My mother had talked to both me and my older brother about America as the land of opportunity, but I had never interpreted the American dream personally. My older brother was expected to write the next chapter of the Horatio Alger success story for the simple reason that he was a boy. There was no similar Harriet Alger. I don't know exactly what Zelda saw in me that summer afternoon that made her tell me I had potential, but I do know what effect it had on me. Why else would I remember that brief conversation? It made me stand taller than if I had won first place in a dance contest. Her words allowed me to expand my sense of who I was and who I could become. They encouraged me to dream, and eventually, to strive to fulfill those dreams. The look on her face expressed an emotion that can be best described as relieved happiness. She glowed. "That means a lot to me, especially coming from you," she said. 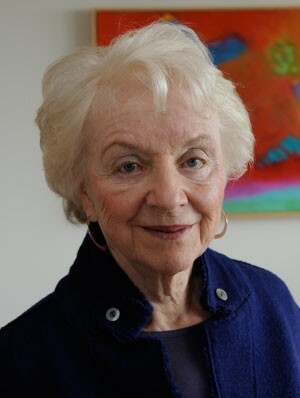 Madeleine Kunin is a former Vermont governor and U.S. ambassador to Switzerland. The Vermont Children's Trust Foundation supports statewide prevention programs for children and families to help give all kids a fair chance at success. Submit your stories for the Because Project! Email them to sara@vtchildrenstrust.org. Submissions should be 300 to 600 words long and respond to the prompt "I am/decided to/learned to _______ because of ______." Kids VT will feature one of these stories in each issue.